A THREE-year business start-up and growth programme has been launched aimed at female entrepreneurs in Northern Ireland. 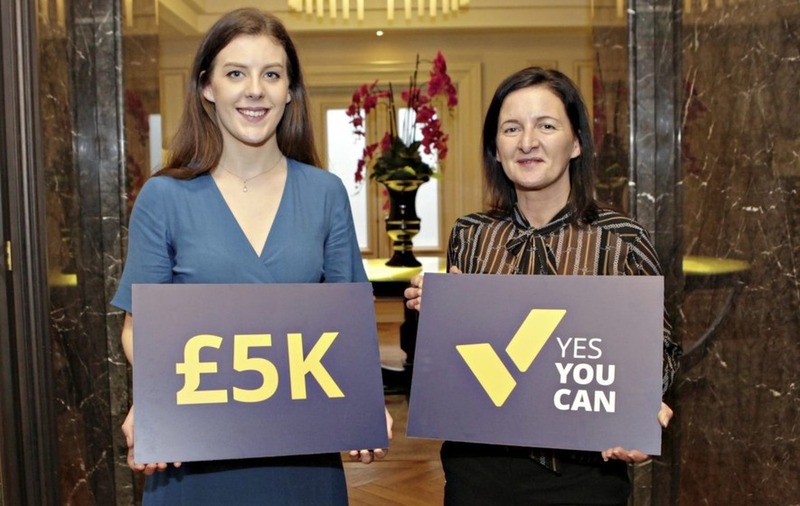 A collaboration with Women in Business, Invest NI and the 11 local councils, ‘Yes You Can' began with a pitching competition offering a £20,000 prize fund. Six regional finalists from across Northern Ireland were selected from 258 entrants for their innovative ideas and entrepreneurial spirit. The winners - Sweet Robyn's, Beechfield Flower Farm, Stables Flower Co, Ke Nako Biltong, Esther Women Ltd and McAnallen Ltd - were each awarded £3,000 before they took to the stage to pitch their business ideas to attendees at the third annual Female Entrepreneur Conference at the Galgorm Resort. And following a vote by the delegates, Sarah McAnallen from McAnallen Ltd was crowned overall winner and scooped an additional £2,000. A product design student at Ulster University, she has launched her own product called Ezi-Sock, which allows people to put on their socks in a seating position without needing to bend down. The product can also be used with one hand. Lesley O'Hanlon, head of programmes at Women in Business, said: “We're delighted to have launched the three-year ‘Yes You Can' Programme. All of our pitching competition regional winners were worthy recipients and their pitches reflected the entrepreneurial spirit that is synonymous with Northern Ireland. "I particularly congratulate Sarah McAnallen, whose pitch was truly refreshing, and I am excited to see her business thrive over the coming years."